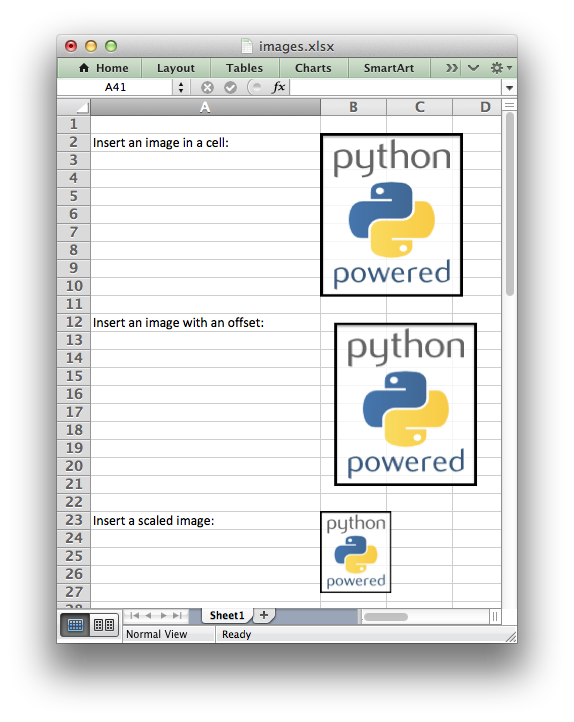 This program is an example of inserting images into a worksheet. See the insert_image() method for more details. # Insert an image offset in the cell. # Insert an image with scaling.